I bought this product last year, and I used it for a long time before writing this comment. Mounted on a Surly Cross check, I used it well on two short trips, with Ortlieb Backroller loaded with tent, mattress, sleeping bag etc . : both in the 250 km on asphalt and especially in the 200 km of mule tracks in the Natural Park Fanes-Sennes-Braies the luggage rack behaved very well. Ortlieb's quickfix system requires a bit of attention when attaching the bags, but in the end I found it stable even with the big bags on the uneven slopes of the Dolomites. The lower clamp support would have a tendency to slip, but I added a screw collar to lock the rotation. Overall, for 2/3 days tours, excellent value for money. Thank you for your enquiry. If you forks have the double sided low rider bosses then yes you will be able to use this particular lo low rider rack with no problems. Do you think the Bor Yuen custom low rider would fit my Dawes Galaxy twin tandem, and carry a set of ortlieb front roll panniers. 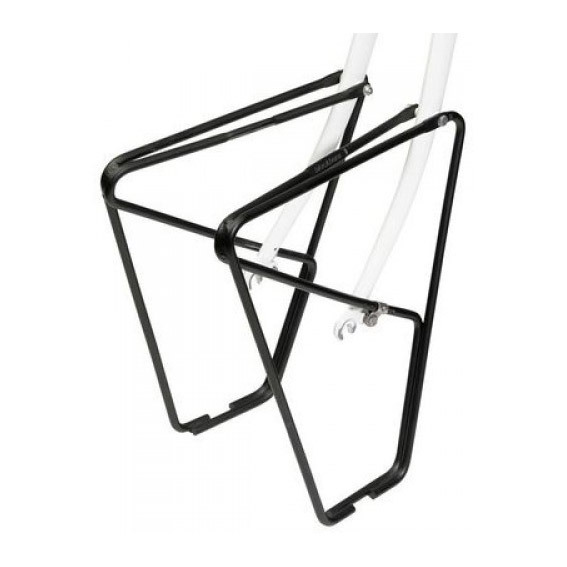 Providing your bike has standard low rider mounts on the forks then this rack should fit fine. This rack will also accept Ortlieb front panniers without any issues.